Patients can register as a new patient at Cove Bay or Kincorth Medical Centre. Once you are registered with the practice you can be seen at either site. In addition, you will be invited to attend a registration appointment with one of our Healthcare Assistants, allowing us to provide medical care in the interim period whilst your medical records are transferred from your previous practice. If you move out of our practice area, you will need to register with a new practice as soon as you move. We can provide information about how to find a new practice. If you wish to pre-register please click on the link below to open the form. When you have completed all of the details, click on the "Send" button to mail your form to us. Once we receive your pre-registration form and health questionnaire we will contact you within 5 working days to arrange for you to come to the practice to sign your registration form. In addition to completing the registration form you will be asked to provide proof of your address and other supporting evidence. Once you are registered you will be asked to attend a new patient appointment with one of our nursing team. This is a 10 minute appointment to go over your medical history, medications and a basic health check. Please bring a sample of urine in a clean container to the appointment. When you register you will also be asked to fill out a medical questionnaire or attend a new patient medical. This is because it can take a considerable time for us to receive your medical records. There is an online version of this file too, which you may fill out and send to us. When you come to the surgery you will be asked to sign this form to confirm that the details are correct. If you are temporarily staying within our one of our areas, you can register temporarily. 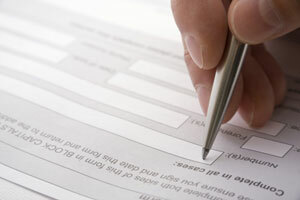 To do this you will need to fill in the appropriate form and bring photographic ID with you to the surgery. You must have an address with in our area. If you have moved address but are still with in our area, you will need to complete the form below and hand it into the surgery, with proof address. If you have changed your name/surname, you will need to complete the form below and hand it into the surgery, with proof of this change. If you have moved outwith our practice boundaries you will be asked to register with a GP practice that covers your new home address. Signposts to other sources of help This new system also allows for replies to be sent which will allow you to answer any questions asked or cancel an appointment. A text message will be sent to the mobile number provided to the Practice. It is your responsibility to notify the Practice if your mobile number changes or becomes invalid. Children aged over 12 must provide their own consent form.